Underlying the Christmas story, and sometimes amidst the holiday hoopla, the themes of redemption and forgiveness still resonate. This is a song about personal forgiveness in that context of universal forgiveness. Available now for stream and download! There’s nothing quite like a midwestern Christmas, outsmarting the winter by cozying up by the fire. Available now for steam and download! She may not be featured in a lot of Christmas songs, but Mrs. Claus is one of the holiday’s unsung heroes. I wrote this song with The Tropicals. Available now for stream and download! I’ve written a bunch of holiday songs over time and starting today I’ll be sharing my five faves – including A NEW ONE! Excited for you to hear them! Semisonic Friends & Family: I am very excited to share this news with you! On October 19th, Universal will be releasing a 20th Anniversary deluxe version of our Feeling Strangely Fine album! This anniversary edition includes music not included on the original album, additional artwork, and special liner notes. Click on the banner to check out our Pledge page and pre-order! Brett Dennen’s latest EP, Here’s Looking At You Kid, which I co-wrote and produced, is now available everywhere. This is the second EP Brett and I have collaborated on over the last year, and I’m extremely proud of the great music we’ve made together. 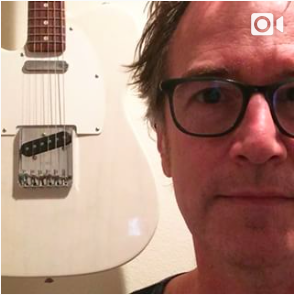 For the last bunch of years, I’ve been doing this series of songwriting and collaboration advice tidbits, first on Vine, and now on Instagram. Check them out here, or search #wordsandmusicinsixseconds on Instagram anytime you like.